National Day Parades have a special place in my heart, because as a teenager growing up, I took part in many of the early ones. My first NDP was in 1967, when I marched in a Combined Schools band. The year before, I had accompanied my father to watch the rehearsals and the first parade as an independent republic. After that, I learnt to play the euphonium in the Catholic High School band, so that I could march the next National Day. 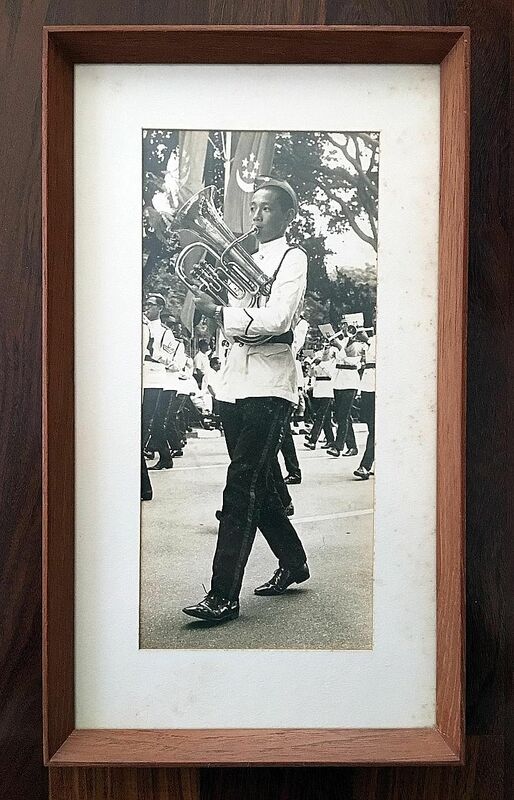 My grandmother framed up a picture of me marching with the euphonium, which I have kept till this day. The following year, I changed instruments and played the clarinet. After the parade had formed up on the Padang, the sky darkened and the heavens opened up. Our contingent was towards the back, near the Singapore Recreation Club end of the Padang. My bandmates and I watched to see if anyone would run for cover. We were shivering cold, sucking on glucose tablets to keep warm, but nobody broke ranks. The whole parade stood unwavering through the downpour. After the skies cleared, we carried on with the parade, marching with pride in our drenched uniforms. My third NDP was in 1969, the 150th anniversary of the founding of Singapore by Sir Stamford Raffles. This time I led the combined school bands of Catholic High School and Raffles Institution as the drum major. We had invited some foreign leaders, including Deputy Prime Minister Tun Abdul Razak from Malaysia, and the Queen's representative, her cousin Princess Alexandra. We made a special effort to impress them. Our AMX-13 tanks went on parade for the first time in the mobile column. After the march past, school groups put on mass displays, filling the Padang with colour, music and energy. The last time I marched in the NDP was in 1971. By then I was doing my national service, and marched as an officer cadet in the Officer Cadet School contingent. We wore special leather boots with metal studs that made a crisp sound as we marched on the road. 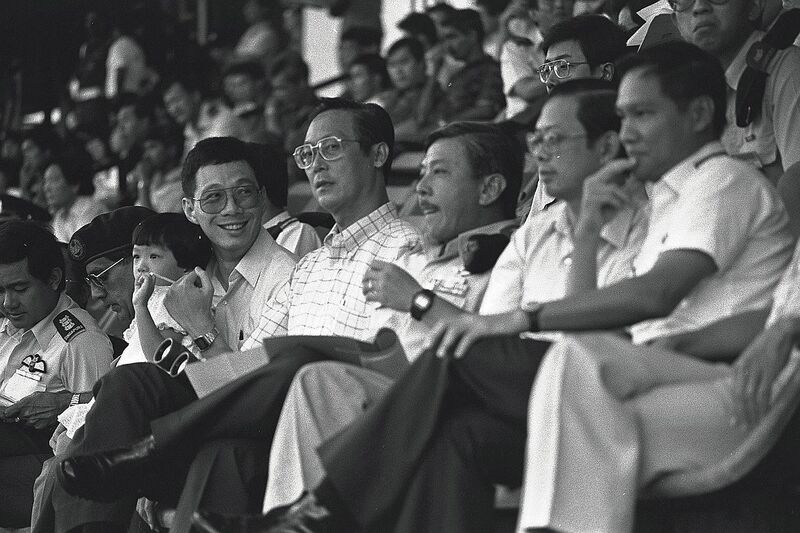 Since then I have attended nearly every NDP, except for a few occasions when I was overseas. Each time, as I watch the parade and performances, my mind goes back to the times when I stood on the Padang, and I marvel at the creativity and resourcefulness of the organisers, who always come up with something new to wow the crowd. Each parade is memorable in a different way. In 2014, at the Floating Platform, I turned back and saw my father watching the show, nearly 50 years after that first parade in 1966 that he had supervised, personally and in detail. 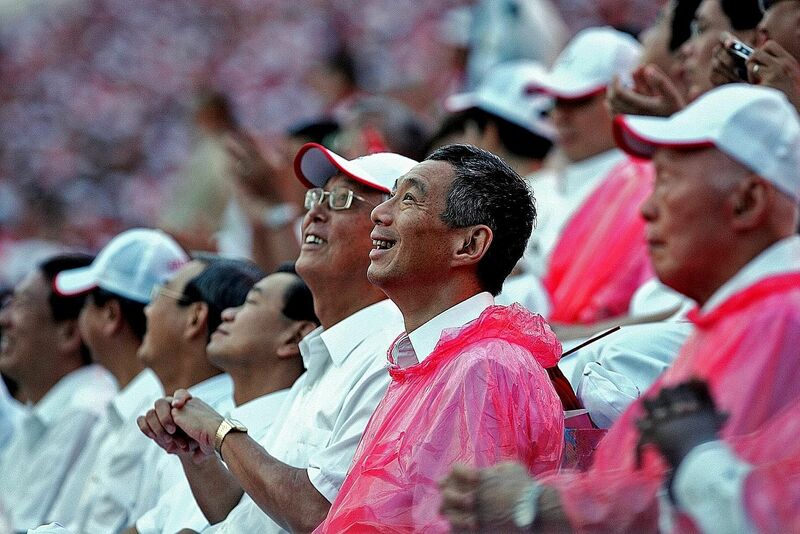 How proud he must have felt, seeing all around him what he and his team had built, and how Singapore had changed. It was to be his last NDP. 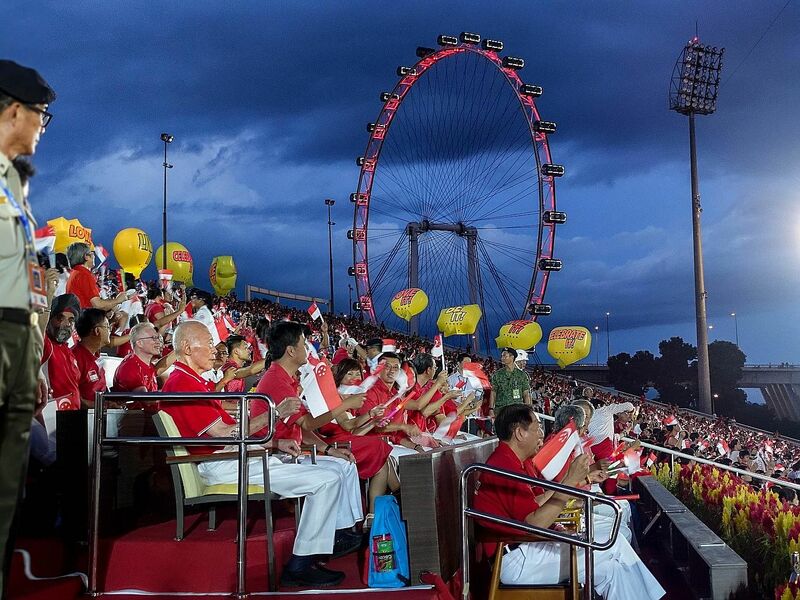 Last year's parade was special because of SG50. When Kit Chan sang Home, I was moved to hear the whole crowd singing along with her. From all round the Padang, we could hear our own voices. Indeed, "This is home, truly". 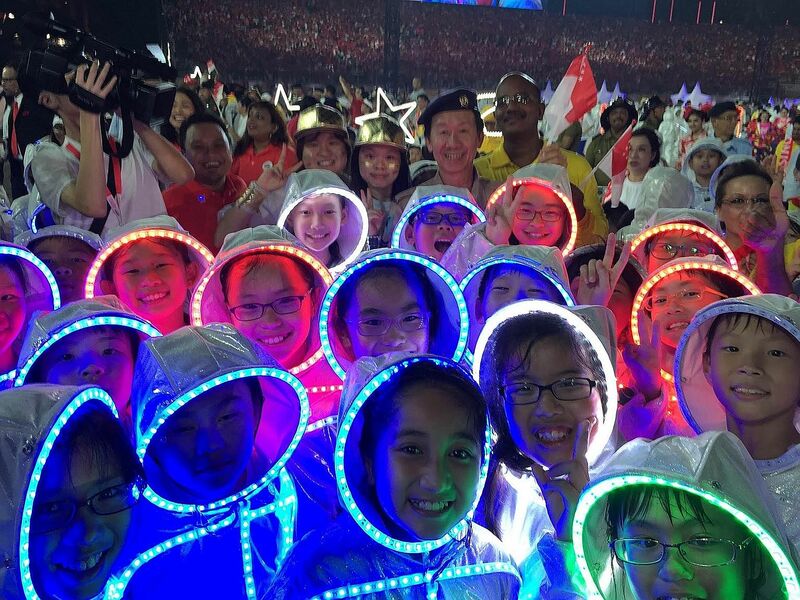 For the climax of the SG50 NDP, kids in bright LED costumes put on an energetic and spectacular performance. I walked down to the Padang afterwards to meet them. Their faces shone with excitement and hope. They are our future. As we look forward to this year's parade, I hope we will remember how we got here. So long as we keep on working together, doing our best and finding new paths forward, each year on National Day we can sing Majulah Singapura, with pride, together.